As you can read on our website optimization page, optimizing your website is an important aspect of search engine marketing to rank higher in the organic search results. It is of great importance that your website ranks high in the region where you perform your services or sell your product. Therefore we offer local based SEO in Dubai. Wether you sell products, or perform services, your potential client is looking for you through search engines. 95% of the people use Google to search for products or services that they are looking for. That is why we performA�all of our SEO activities according toA�the requirements of Google. In this way we areA�able to promote your website based on your needs. This can be a top result within Dubai, the complete Emirates or even a Global top position. Do you already have colleagues or external partners who help with the optimizaton of your website? We can also deliver SEO advice for project based terms. Our advice can cover all aspects of website optimization. This ranges from technical advice for the creator of your website to advice on contentA�scale for your copywriter. Technical advice on website optimization means that we can help you to optimize theA�source code, the structure and the internal link structure of your website. 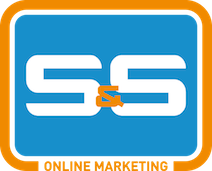 Advise about SEO Copywriting is to help you get the best results with your content and use the keywords your potential target audience uses.A�Wherever you need advice, S&S Online Marketing provides this fast and client oriented! When creating your Website, ita��s important that every page is search engine optimized with target keywords, a proper hierarchy and title tags, and that the site loads quickly. This work, however, is generally best left to a Web designer who can get an optimized site up quickly a�� an essential part of the task because your Web site is a portal to your business. Much more important for the small business owner is an SEO-motivated content strategy that uses theA�Google Keyword ToolA�as a guide. To use this, you need a Google account if you dona��t already have one. Then type in search terms that are relevant to your business. The tool will suggest various related terms that customers are searching for a�� terms you might not have ever known were relevant, and that you should consider in your content strategy. Once you have their attention because you have a search enginea��optimized content, ita��s time to get that content out to customers by promoting it on social media. The ultimate goal here is to create a passionate community with followers who love and respect your brand. We call thisA�social SEO. Creating profilesA�on all of the major sites, including Twitter, Facebook, Pinterest and LinkedIn, and making sure to add important keywords into your descriptions and details about your businessa��s location. Keeping your updates varied, sharing both your content and other interesting content in some posts and reaching out directly to followers in others. Add keywords where you can, but make sure to keep it natural. The more followers link to your site and social media profiles, the better youa��ll rank in search results. If you operate a business with a physical address, make sure to register your address information with Google Maps. This will increase the chances your business will appear higher in results when a customer searches for services in your area. While link building is always an important part of any SEO strategy, itA�can be difficult for small businesses to competeA�with larger businesses that can pay for consultants to do this full time. Whata��s more, with each new update of its search algorithm, Google is getting better at giving exposure to good content and punishing sites that haveA�badA�link building, so you dona��t want to inadvertently get yourself in trouble by doing the wrong thing and lowering your rank. Far more effective is relationship building a�� the act of reaching out directly to bloggers and social media followers in the hope that they will share your content or site. This means more than just regularly saying, a�?Thanks for the follow.a�? In return, share content written by your colleagues and influential people in your industry. Email bloggers privately to compliment them on the work they do and suggest ways to work together. Guest post on other blogs and create guest posting opportunities on your own site. Become a go-to resource both for your customers and for industry experts by developing strong and authentic relationships, and your site will climb the rankings. Therea��s an old saying in business that applies here: a�?You cana��t manage what you dona��t measure.a�? If you dona��t have aA�Google AnalyticsA�account yet, now is the time toA�sign up. With Google Analytics you will get lots of information about who is visiting your website, youa��ll get an in-depth peek into just who is visiting your Web site, what kind of content theya��re seeking, how long theya��re sticking around, what theya��re clicking and whether or not theya��re converting into customers. This will help you refine your content strategy to just what is working for you company, and it will also help you experiment along the way. Whata��s more, there are many ways to dive even deeper once you master the basic skills. Would you like to know more about the SEO possibilities for your website? Looking for a free SEO scan or have other questions? Do not hesitate to contact us by info@marketingcompany.ae, fill in the contact form or callA�+ 31 36 30 300 61. We would love to set up an appointment!